Done with the sofa, done with the hall? Done with societal limitations on our sexual freedom? On 7th April 1998 in a Beverly Hills public toilet, so was George Michael. Last year ‘THIS IS MY CULTURE’ event, which celebrated George in his favourite Hampstead Heath bushes, was such a success we are bringing it back! 2018 is the 20th anniversary of his song ‘Outside’ – so let’s do him proud! As Meghan Markle and Prince Harry adorn their crowns and bow down to the queen, join us for this very special occasion – ‘The Real Qweens’ Queer Wedding’. On this dutiful day we will celebrate ‘OUR CULTURE’ where public displays of affection are everyone’s duties and we show the world that QUEERS ARE FABULOUS. 30 years ago in 1988, Margaret Thatcher tried to ban the public promotion of homosexuality with ‘Clause 28’ – today, let’s celebrate our fierceness, our sass and show the world that we are still ‘NEVER GOING UNDERGROUND’. 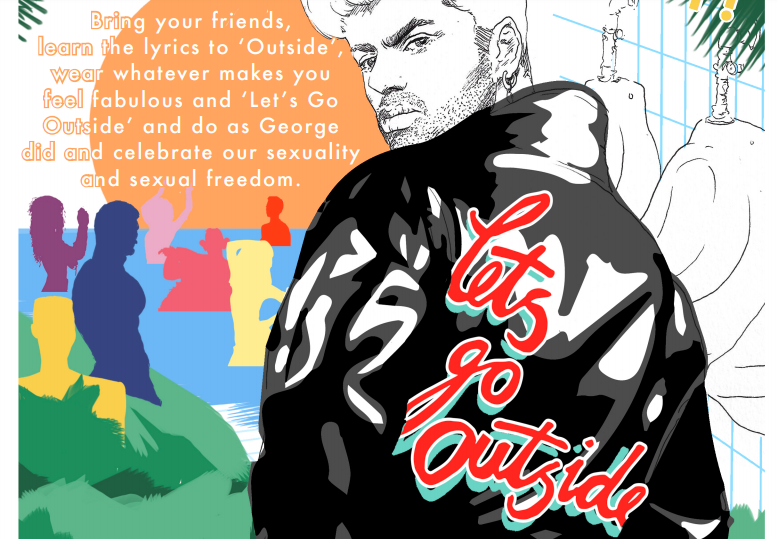 The OUTSIDE – THIS IS OUR CULTURE event is to celebrate the life, courage and dignity of a great artist and LGBTQI+ icon by marking the anniversary of the day George Michael was ensnared by a ‘pretty’ policeman in an LA toilet and subsequently arrested for indecency. Join us in Hampstead Heath in all your royal outfits, pay tribute to LGBTQI+ sexual freedom, enjoy performances and George’s music wafting through the trees. If you want to strut your stuff and perform on the day / are press or want to get involved in any way please email queertoursoflondon@gmail.com ASAP. Please spread the word to all those you think will appreciate. 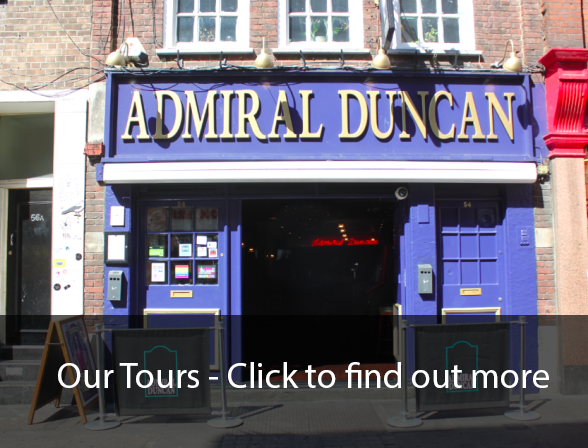 See the fun from last year! ← ‘Unfinished Business – LGBTQI+ Voices of the Revolution’ Showstomper!